Brittany, France is the home of crepes. If tasting an authentic crepe is on the list of things not to be missed in your lifetime, then head to Brittany for the real deal. In every town, even the smallest, chances are there will be a crepery with a long list of choices. Sweet and savoury flavours are generally both on offer and differ dramatically in both presentation and flavour. Traditional sweet crepes are made with regular white, wheat flour and are slightly sweetened to compliment their myriad of syrupy toppings. They are usually served in a triangle shape, having been folded in half, then in half again. Savoury crepes, or galettes, are unsweetened and made with buckwheat flour. This gives them a delightful crispiness, and make even the simplest toppings, such as plain cheese, something incredibly special. Galettes are served in a rectangular shape, with a section of each side of the crepe folded into the centre. While in Brittany, apart from munching through as many crepes as is humanly possible, try also to squeeze in a visit to one of the War Cemetaries in Normandy - its neighbouring province. 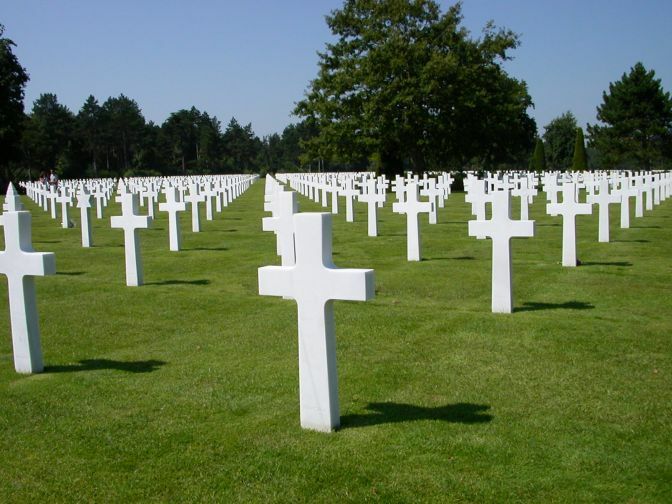 There is one American cemetary right near the border of Brittany and Normandy, and another at Colleville-sur-Mer, Normandy. The latter is positioned on a cliff overlooking Omaha Beach where troops landed on D-Day and where much fighting took place. It is hard to image the horrendous events that must have taken place on what is a glorious stretch of golden sand and blue water. There are more than 9,000 American dead buried on site, with all graves facing westward towards the United States. The graves stretch row-upon-row over manicured lawns in a stark reminder of the tragedy that is war. 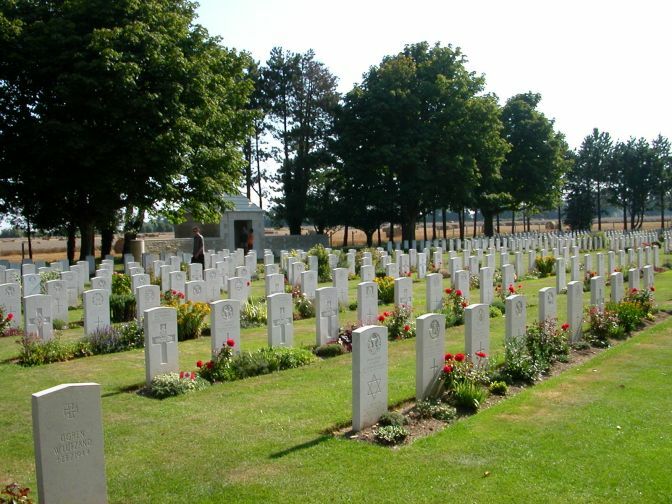 There are many other smaller English, Canadian and German cemetaries that are well worth a visit. Most of theses cemetaries are actually in Normandy. Lisieux/Saint-Desir is an amazing example of this, with Germans and English buried in two sections side-by-side.